I built the Hiss Drive shown here with a hand saw, hammer and screwdriver from scrap wood. That's how simple it is - you can build one for yourself. The Hiss Drive is named for the sound of air escaping from a needle valve. For that reason it's really an escapement rather than a drive. 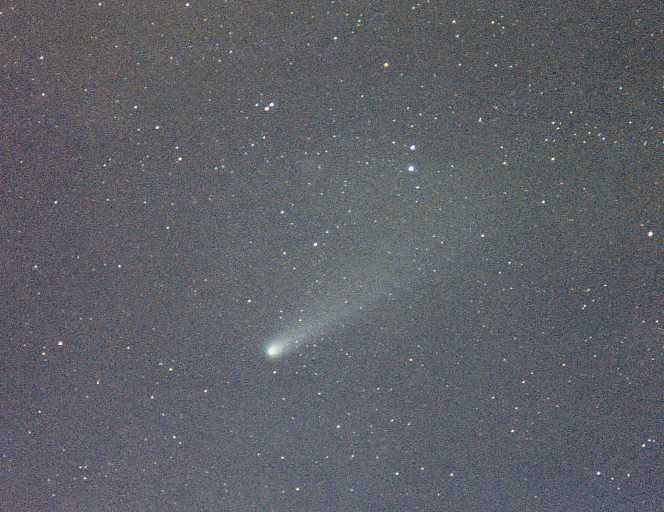 But the important thing is that it allows any camera or telescope, even a large Dobsonian, to track a celestial object at high magnification as the earth rotates. 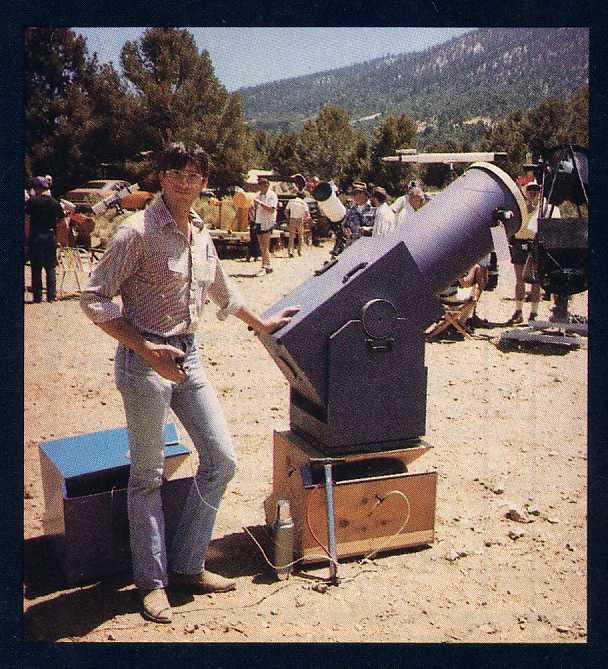 The telescope does not need any modifications - just set it on top of the Hiss Drive and begin tracking! Simple to build - Only 1 moving part! 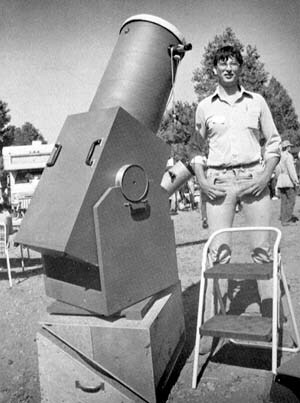 Among the most innovative displays on the telescope field was Tom Fangrow's "hiss" drive for his Dobsonian Reflector. At first glance the device looked like some sort of Poncet platform, but actually it is much simpler. The drive base consists of two prism-shaped plywood structures, hinged together along one side with a space between for a small automotive inner tube. The hinge, angled to equal the local latitude, defines the polar axis. Thus, the upper platform is free to turn equatorially. During use the moving prism floats on top of the inflated inner tube. The base is then essentially box-shaped, with the hinge on the East side. 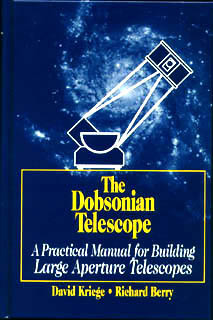 On top, Fangrow places his Dobsonian reflector. A hose runs from the inner tube to a hand-held needle valve purchased at an aquarium supply store. To make the telescope follow the stars, Fangrow merely regulates the flow of escaping air. In early tests the unattended drive tracked Saturn at 430x for up to 25 minutes, and the minimal drift may have been due more to imperfect polar alignment than to drive error. The device will run about an hour before the air supply is exhausted. During evening observing sessions the hiss drive performed admirably. 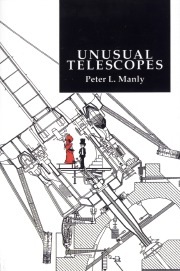 A drawback to the design is that the telescope rests on a very springy cushion, and light breezes may bounce the tube. But Fangrow dampens these oscillations in a simple manner. When the base folds around the inner tube, an air pocket is trapped inside the "doughnut hole". Several small perforations, drilled through the center of the lower prism's hypotenuse, allow this air to pass through the drive base. 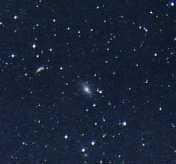 The resistance of air passing through these small holes keeps the telescope from vibrating. 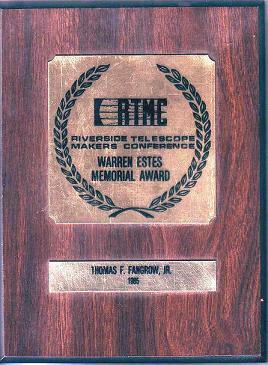 The hiss drive received the Warren Estes award for use of simple materials. 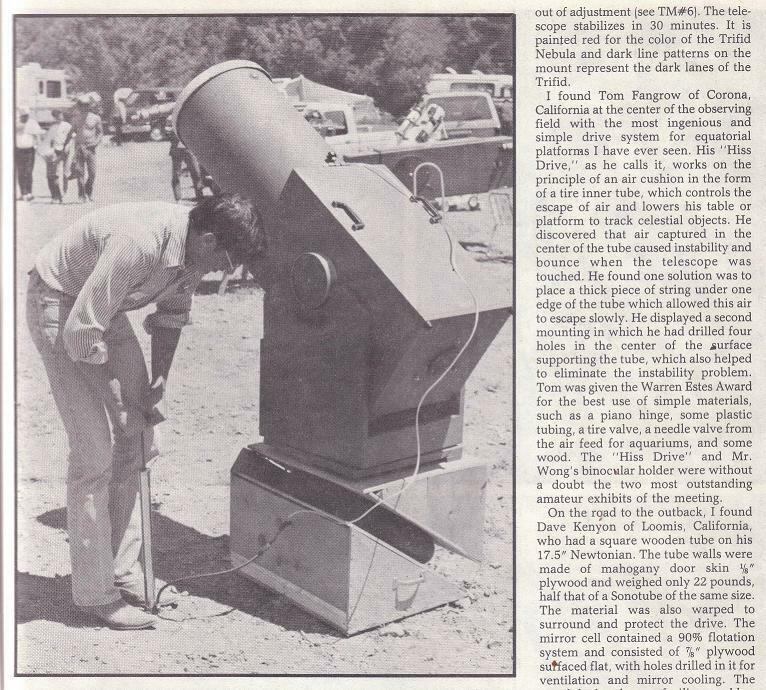 Yeah, but can you do astrophotography with it? 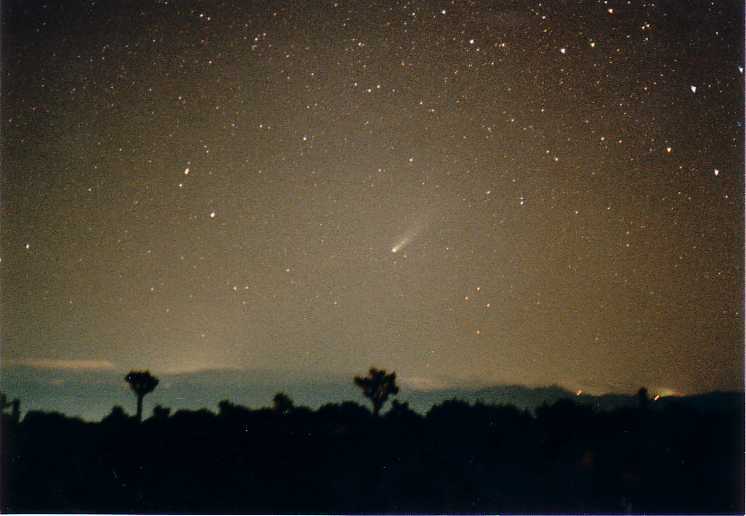 I am not a astrophotographer, and I never wanted to be one. 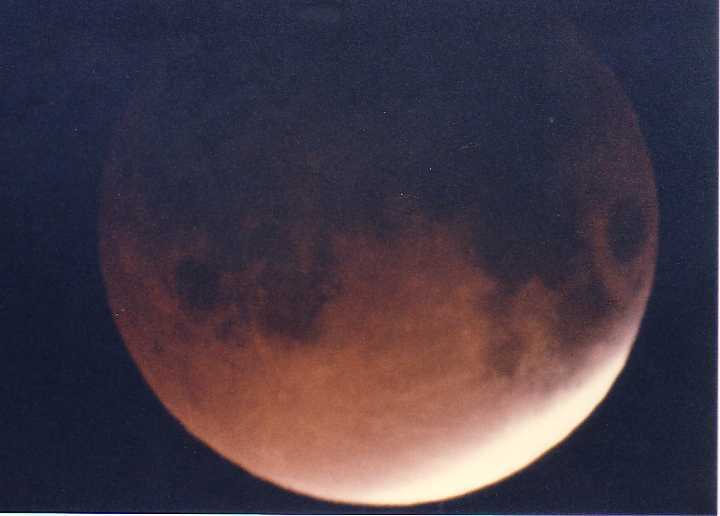 As my friend Todd Hansen used to say, "You can always buy a better picture than you can take yourself". 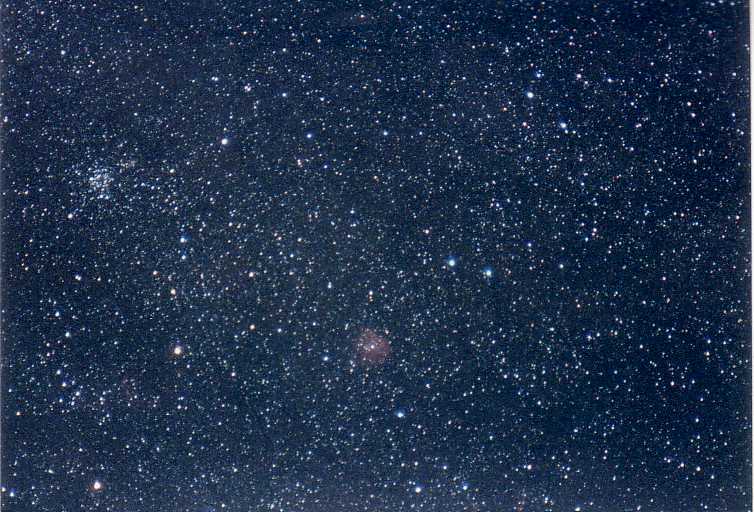 However, after being asked the above question literally hundreds of times, (even by people who had no intention at all of doing astrophotography), I finally relented to the pressure. I stole a couple of hairs from my then baby daughter and glued them at the focal plane of an old 25mm Kelner eyepiece for crosshairs. 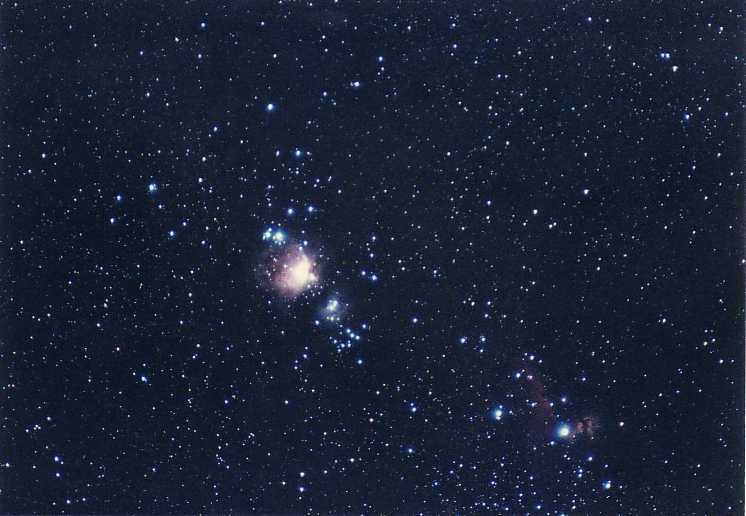 I used the main scope for guiding while doing "piggyback" astrophotography with my Hiss Drive. Here are just a few of the dozens I took.